(Asheville, NC) – Nearing its 20th anniversary, Green Man Brewery has evolved quite a bit from its humble beginnings as the first brewery in the “brewery district” of Asheville, the South Slope. Most recently its growth is marked by the opening of the Greenmansion in March and its first cans out in the market this Summer. 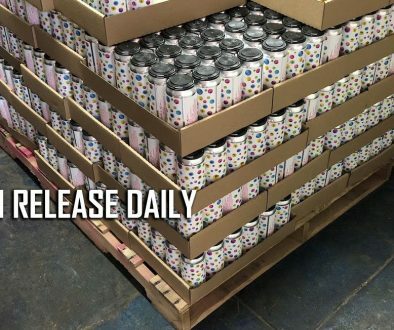 The latest development is a 20th Anniversary Variety Pack of cans that will be hitting all 5 states in Green Man’s distribution footprint this Fall. 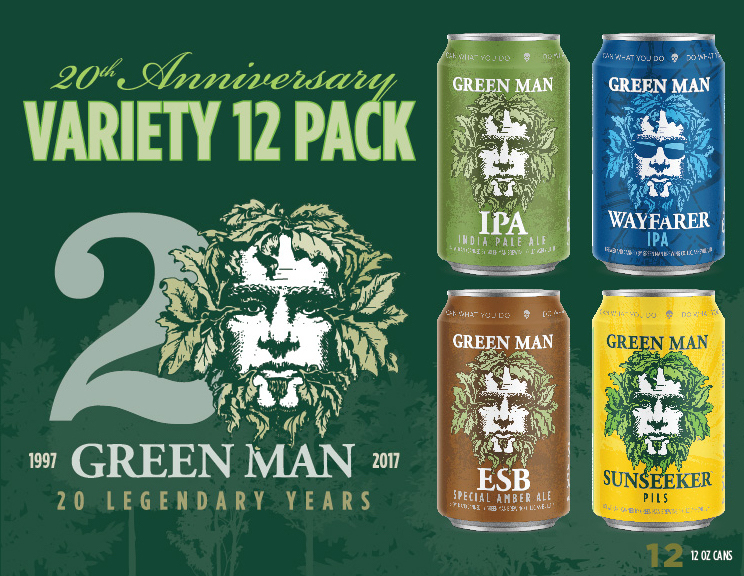 The Variety 12-Pack includes Green Man’s flagship beers, ESB and IPA, as well as two brands that were originally released as seasonal offerings. Wayfarer IPA and Sunseeker Pils are joining the year-round line up due to popularity and will be featured in the Variety 12-Pack. Wayfarer IPA is an American IPA that is heavily dry-hopped with Citra. The pale malt bill allows for a crisp canvas for the juicy hops to shine. 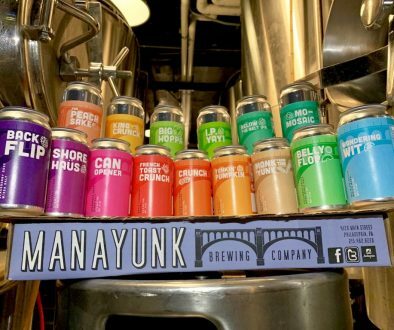 “When we were deciding on our first can, we wanted it to be a brand that already a big fan base, and was an easy-drinking as well as highly aromatic. Wayfarer IPA was our answer.” explains head brewer John Stuart. Sunseeker Pils is Green Man’s newest packaged offering. An authentic German Pils brewed with pilsner malt and Vanguard and Magnum hops, Sunseeker offers a refreshing and clean palate while staying true to the signature full-flavor that Green Man is known for. The 20th Anniversary Variety Pack pays homage to Green Man’s English roots with two beloved originals while also looking towards the next 20 years in store with two newer offerings. Find it at retailers throughout North Carolina, South Carolina, Tennesse, Georgia, and Florida this fall.